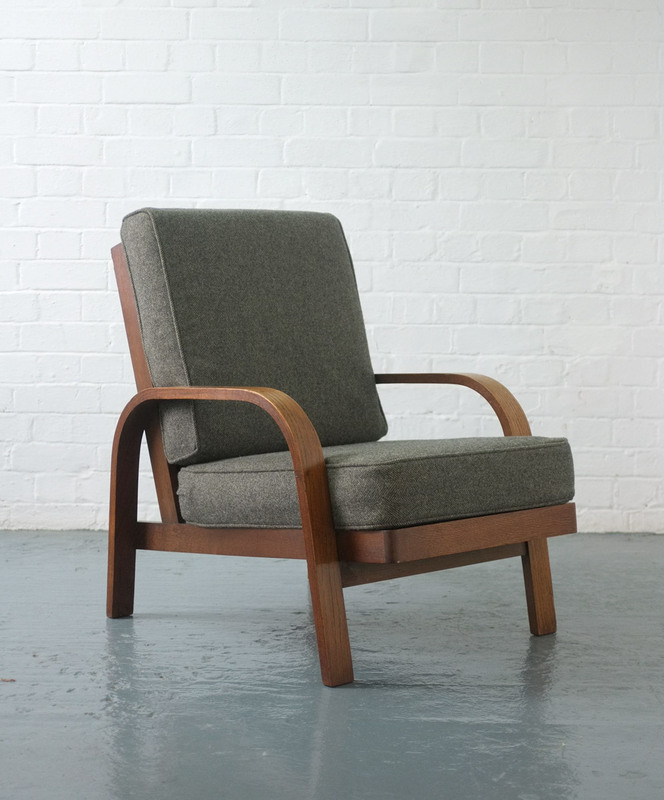 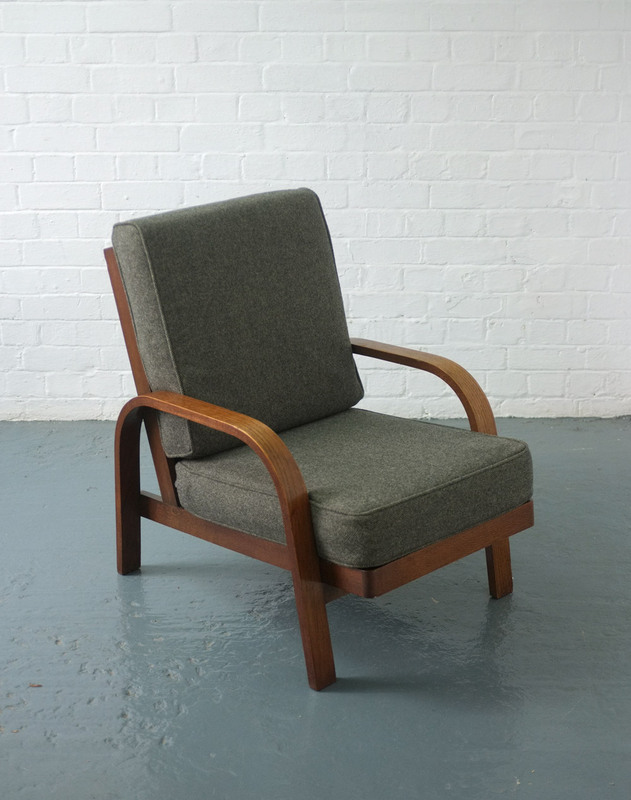 A rare Lamda chair designed by architect Robert Hening and Hein Heckroth, 1935 and manufactured by Dartington Hall, UK. 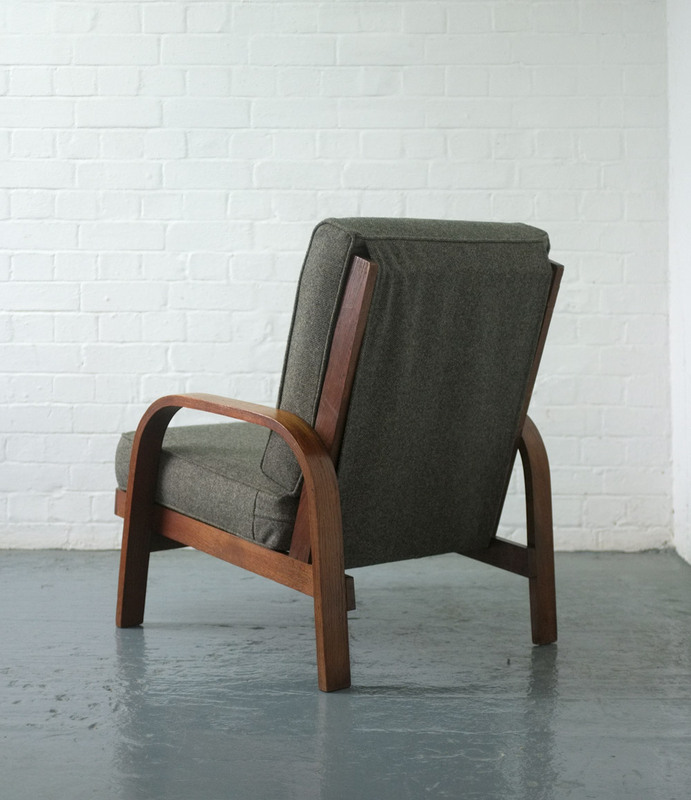 Hening assisted William Lescaze in designing the buildings on the Dartington Hall estate, some of the most celebrated modernist dwellings in the UK. 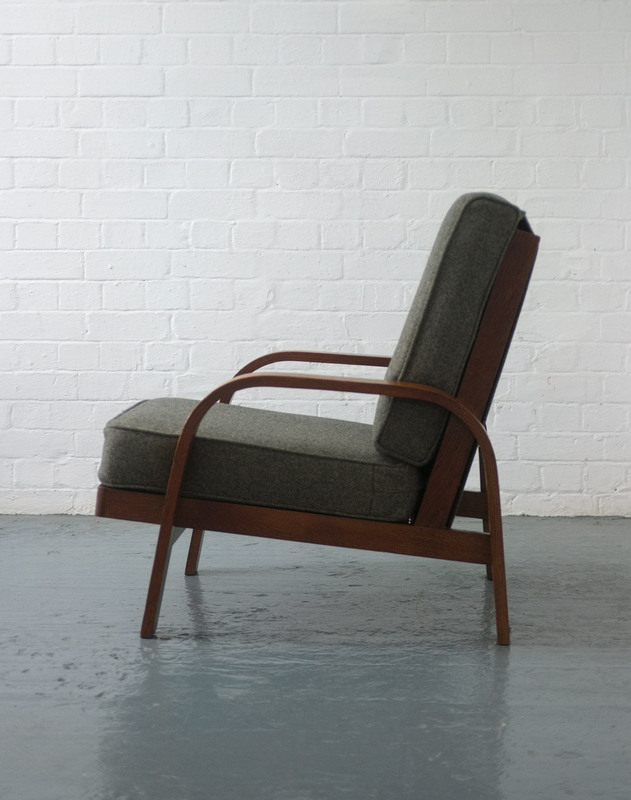 Dark oak bentwood frame with grey tweed cushions. 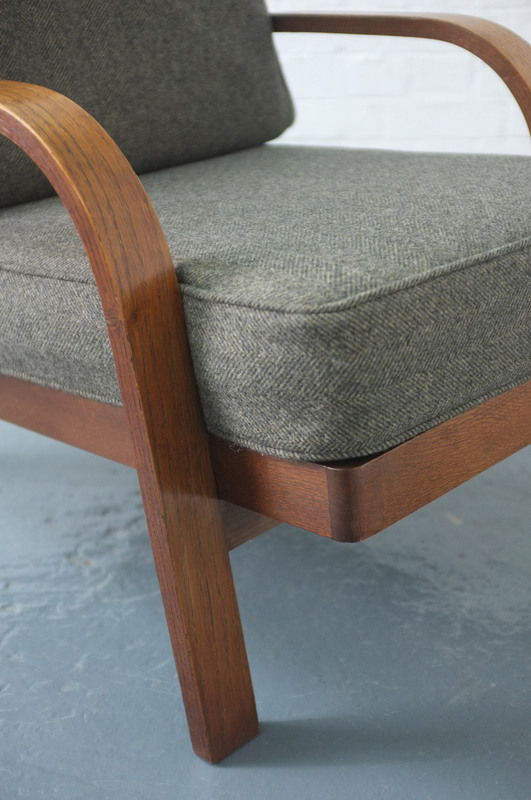 In very good condition, the upholstery was redone in the last five years, the wood has been cleaned and waxed. 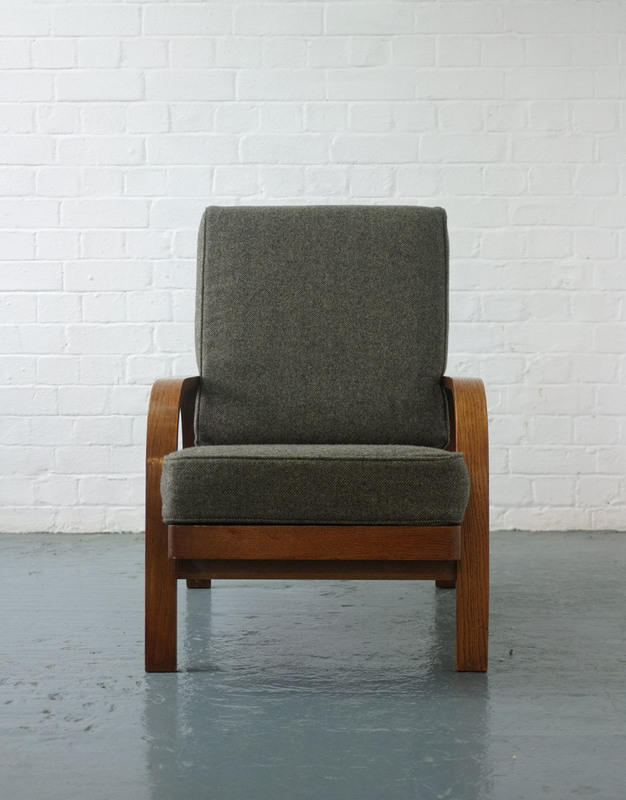 Dimensions: 63.5cm wide x 86cm deep x 86cm high x 41cm seat height.